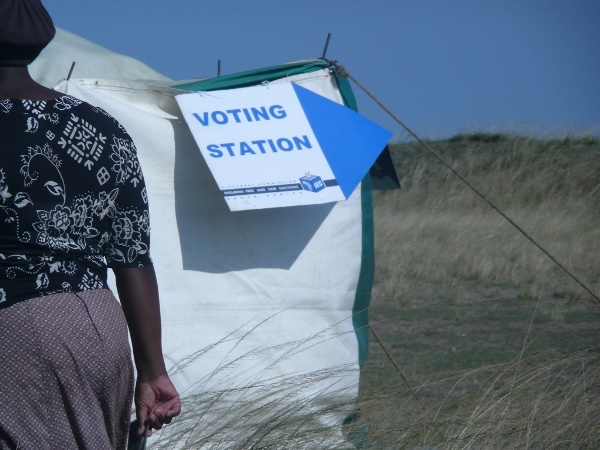 More than 25,3 million voters will be eligible to cast a vote during the 2014 general elections, Chief Electoral Officer Mosotho Moepya said on Thursday. Moepya has certified the voters' roll, and some 25 390 150 voters will be eligible to vote in the national and provincial elections on May 7. This is 2 208 153 more -- 9,5 per cent -- than in the 2009 elections. Moepya said when the roll was compared with estimated voting age population estimates from Statistics SA, it showed a total of 80,8 percent of those eligible had registered to vote. In comparison, registration levels stood at 80 percent in 1999, 84,6 per cent in 2004, and 84,07 per cent in 2009. Gauteng had the highest number of voters with over six million, followed by KwaZulu-Natal with 5,1 million, the Eastern Cape with 3,24 million, and the Western Cape with 2,9 million. These four provinces made up almost 68 per cent of all South African voters. Women outnumbered men, with a total of 13,94 million (54,9 per cent) women compared to 11,45 million (45,1 per cent) men on the voters' roll. The roll also showed 49,57 per cent of South Africa's registered voters were under 40 years old. The biggest age segment of voters was those between 30 and 39 years, followed by the 20 to 29-year-old group, and then the 40 to 49-year-olds. Moepya said the certified voters' roll was available for inspection at all the Independent Electoral Commission offices around the country.